Astrology is an ancient way to chart how the stars and universe affect your personality, present situation, and future possibilities. The moon also has an influence on our moods and behavior. Learn how it affects our lives and how to deal with the fallout in The Soul Searcher’s Handbook: The Modern Girl’s Guide To The New Age World . So, how do things like the solstices and equinoxes affect you? Mankind has been aware of the moon’s effects on the earth as well as the human body, soul, and mind for many years. 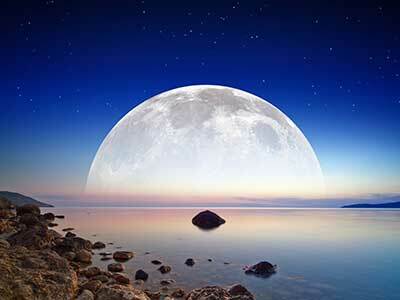 For example, the moon pulls more than just the rise and fall of our ocean’s tides—as we are made up largely of water, our bodies too experience a shift, a pull, a rise and fall similar to the tides, so it is natural for us to feel the effects of the lunar phases. In fact, it is an age-old practice to rest, restore, or even detoxify the body when it coincides with the moon’s movements. Try to stay in tune with these calendars and check in to see what is happening in your life during the moon cycle and at each equinox and solstice.7 Take note of times when you may feel overwhelmed, times when things flow effortlessly, or times when you just want to fly solo and reflect. Here is an embarrassing confession of mine—I try not to go out on a full moon. Not because I morph into a werewolf or something, but because I become so sensitive that I tend to emotionally explode like a pressure cooker that’s been left on high for too long. When I am in a relationship with someone, I tend to keep a conscious eye on the full moon and watch how we both behave or what our souls crave. When both people are aware of the influence of the celestial bodies that surround them, they can make sure they work with them, rather than against them. From aromatherapy and numerology to healing crystals and meditation, this fun and sassy guide to everything body-mind-spirit defines New Age practices for a new generation. What type of crystal should I put in my car for a road trip? Should I Feng Shui my smart phone screen? 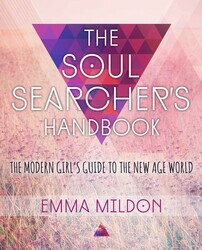 In this illuminating introduction for the modern-day soul searcher, Emma Mildon shines light on everything your mom didn’t teach you about neo–New Age practices. With something for every type of spiritual seeker, The Soul Searcher’s Handbook offers easy tips, tricks, and how-tos for incorporating everything from dreamology and astrology to mysticism and alternative healing into your everyday life. This handbook is your #1 go-to guide—handy, accessible, entertaining, and packed with all the wisdom you need in one place. Your destiny, gifted to you at birth, is waiting. So plug into the universe, dig your toes into the soil of Mother Earth, and open your soul to your full potential. Regardless of what you’re seeking, The Soul Searcher’s Handbook is your awakening to a more fulfilling and soulful life.